S.E. Medical Limited this year sponsored KM Kent Cook 2015, it was the first year for us to support this great event. 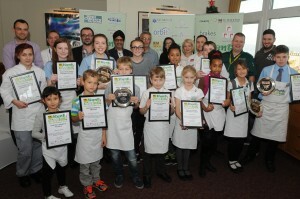 Young people are invited to take part in Kent and Medway’s annual masterchef-style event. 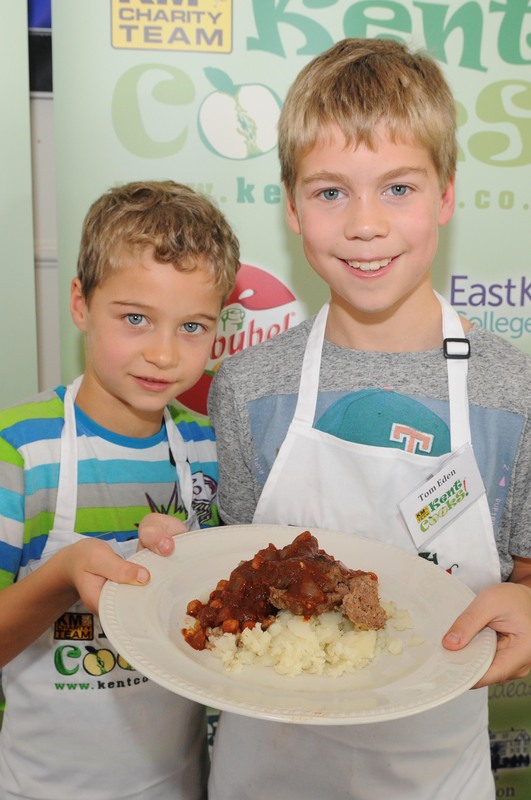 Any child or young person aged between 6 and 19 years old may enter KM Kent Cooks and finalists will be invited to cook their dish for our VIP panel at the live final at the end of November at East Kent College in Broadstairs. 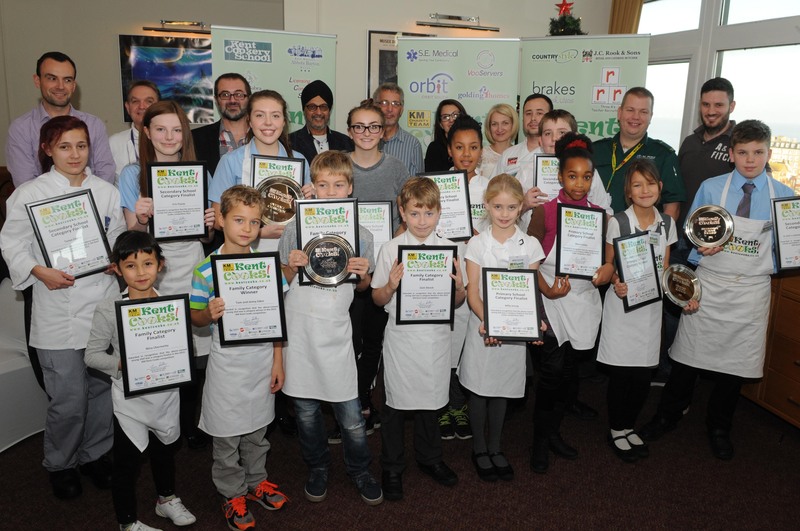 This year Operations Director Jono Erodotou went along on the 26th November to the finals at East Kent College in Broadstairs, and judged the family category. 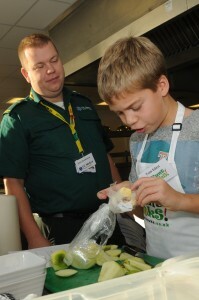 It was great fun watching the families working together as a team cooking two dishes for us to judge. It was very hard for us to make the final decision on who to win in the family category and after long hard chat with the other judges we chose Tom and Jonny Eden who cooked a great meat loaf and apple crumble. Watching over Jonny cooking apple Crumble. 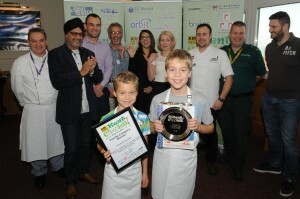 Winners of the family category holding their main dish. Family category winner getting their goodies and trophy. All the winners and judges. S.E. Medical were called to an unconscious male who was the runner in the Tonbridge Half Marathon on Sunday. A paramedic motorcycle was immediately dispatched to the scene from a mile away and was on scene in just under 2 minutes. The casualty was receiving CPR from a bystander. The paramedic was able to give lifesaving defibrillation and advanced life support with the aid of the bystanders until joined by colleagues from the 999 ambulance service. The motorcycle paramedic had requested 999 ambulance and HEMS (Helicopter Emergency Medical Service) when he first arrived. CPR and defibrillation were successful and the patient regained a pulse and started to breath for himself. Once joined by the Air ambulance crew of 2 dr’s and paramedic the patient was sedated and transported by air to hospital. Through this S.E. Medical also provided a further co responder and Ambulance technician in a ambulance response car and a medical manager to liaise with course officials and the emergency services. S.E. Medical are very pleased that the prompt response and actions by its staff saved a life ! It is also pleased to see that the event organisers chose to use a service that provides professional medical cover. S.E. Medical would like to thank South East Coast Ambulance Service NHS Foundation trust and its crews and also the Kent Surrey & Sussex Air Ambulance crew for their assistance and team work all amounting to saving a life. Our thoughts are with the runner and his family and we would very much like to reunite him with the team when he has recovered. Copyright 2016 © S.E. Medical.